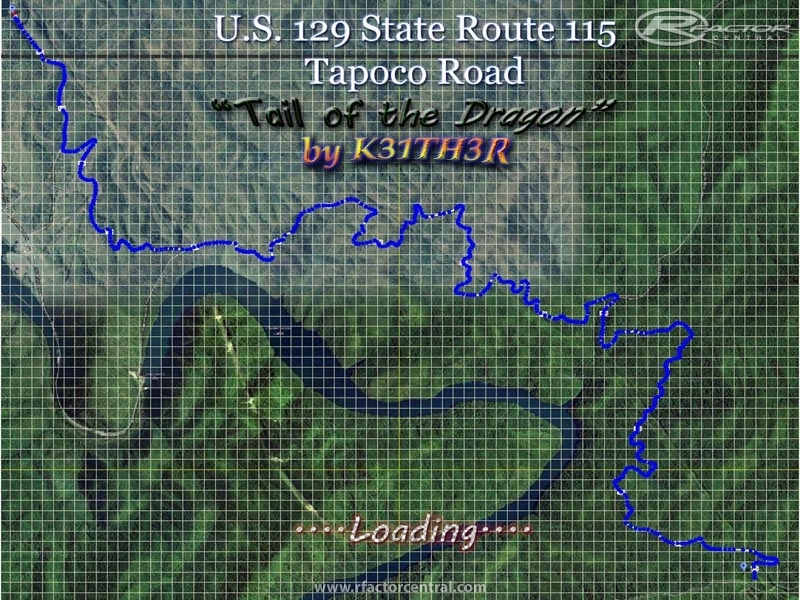 With 318 turns in only 11.4 miles and an 1,800 foot change in elevation, U.S. 129, State Route 115/Tapoco Road, AKA Tail of the Dragon is often touted as being among the best driving roads in the world. 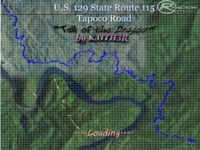 With hundreds of blind curves, long blind crests, and high degrees of camber, this claustrophobic scenic forest road presents plenty of opportunities to leave the pavement both laterally, and longitudinally, and will provide a challenge for even the most seasoned sim veterans. Lose focus for just a millisecond, and you'll find yourself surrounded by trees and stuck in rough terrain before you even finish blinking. There are currently no setups for Tail of the Dragon. Add a Setup. Sorry you didn't like it, but it's not as if it can't be improved, not exactly constructive criticism telling people to stay away. Hard to make something better if you don't get input, no? My design obviously isn't a 110% accurate laser scanned track, but I made sure at least corner geometry is very accurate. The elevation data, camber and trackside terrain aren't fully accurate, due to the extensive amount of work and rendering with only 1 person doing everything. Also, since there's 1,800 feet of elevation change on the track there's a ton of work that goes into tree placement to prevent loss of immersion when you see a great big ugly piece of road and terrain floating in the sky. Great drive! Thank you for sharing your work. Several years ago, a software developer came into our forums asking about some of the toughest drives that might make good sim material. Of course Nurburgring was mentioned, but I volunteered 'The Dragon' based soley upon reading about it in a Motorcycle Magazine. Now the magazine will come to life! Thanks sooo much!! awesome track. I found it kinda easy.... then again I was driving a lan evo X. my only suggestion is to change those kangroo signs on that jump in the first sector to somthing a little more american. 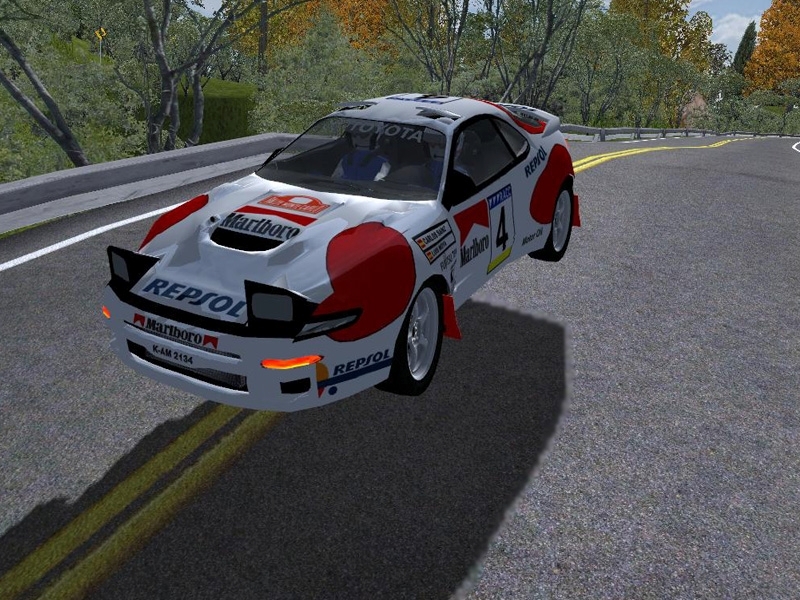 but aside from that my only request is if you can make like a fictional touge texture pack or something like that. my reason for this request is because thats what it felt like while driving this road. Thanks for the track, never enough of long tracks like this. Keep up the good work! Looking forward to any update, now off to racing.. Thanks for this great track! I've been on this road many times on my sport bike. Can't wait to try it out! Good to hear from someone who has had this road at their disposal. Any feedback you'd care to give on the feeling and "flow" of the road is appreciated. I've watched a LOT of videos, but it's another story to feel the g-forces behind the scenes. I agree, I've wanted this road for years before my impatience sent me over the deep end for a crash course on track making. I also have a gripe with the lap times only working during the race, this is the first track that I "finished," and never stumbled across a tutorial on how to go about getting the sectors and times working right, I do plan to continue adding and updating the track, so any help provided, I'm thankful for. I wanted to release it ASAP because I know I couldn't be the only one who wanted a road like this and I felt selfish doing all the test driving myself because of how much fun I was having testing cars on it. Hope you and others continue to enjoy it while I try to improve it over time. Thanks for the comment! I can't believe this "track" is available. I figured it was even ridiculous to put it on a wish list. I've never driven those routes but think it does a great job reproducing the feeling of a winding bumpy road closely surrounded by vegetation. My only suggestion would be to adjust the sectors to get a timed lap.